Sinus lifts provide patients with enhanced bone growth in the upper, back portion of their jaw. 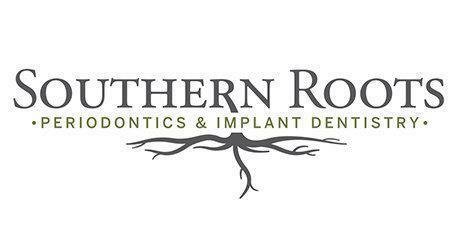 Used in dental implants when the jaw bone is insufficient for the post, a sinus lift can be performed at Atlanta's own Southern Roots Periodontics and Implant Dentistry by Dr. Brandon Frodge. What Conditions Warrant a Sinus Lift? If a patient is missing a tooth or has a failing tooth, Dr. Frodge will first examine the bone in the jaw to make sure it is adequate for an implant. However, if the missing tooth is in the upper back jaw, having insufficient bone can lead to an implant poking into the sinus cavity above the jaw. Since the implant would be anchored to air, it would not give the patient the stability they need in order for the implant to function properly. A sinus membrane lift, or sinus augmentation involves adding bone to raise the floor of the sinus cavity, in turn giving the patient enough bone for a dental implant. While the bone graft can come from a patient’s own body, most often it comes from bone-grafting materials processed in a laboratory from a human or animal (usually cow) donor. Synthetic grafting products may also be used, but in every case the material must be approved by the Food and Drug Administration (FDA) and adhere to their guidelines for use in humans. What Can I Expect from My Sinus Lift Surgery? Prior to the procedure, Dr. Frodge will discuss anesthesia options as well as the procedure itself and the healing process. Once the area is numbed completely, an incision will be made into the gum to expose the bone where the missing tooth or teeth are located. A small opening is made in the bone revealing the membrane that lines the sinus cavity. This membrane will then be raised and the space created will be filled with the prepared bone grafting material. The gum is then closed with sutures. Moderate swelling and minor discomfort are common for the first few days after surgery and sometimes a non-steroidal anti-inflammatory medication is prescribed to help minimize the patient’s discomfort. After an appropriate healing period, the dental implant process can proceed.